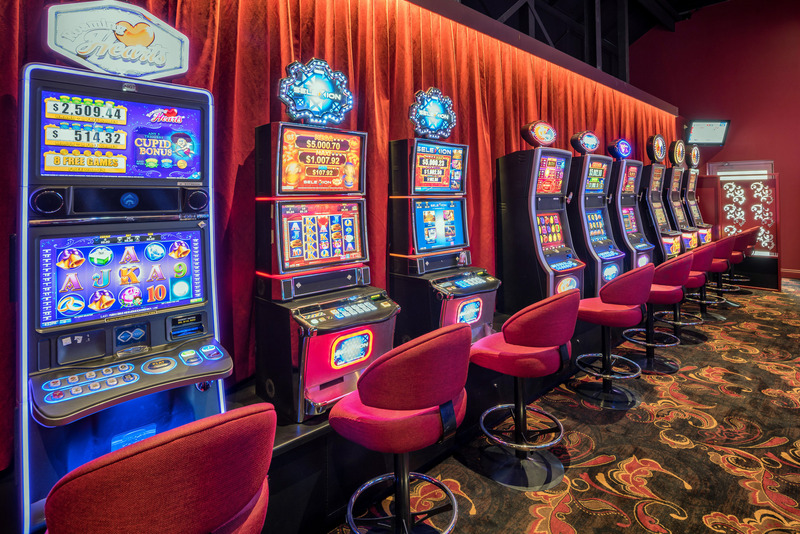 The RedBrick Hotel Gaming Lounge is conveniently located on the ground floor adjacent to the sports bar offering 30 state of the art electronic machines including 11 Dragon Link & Lightning Link machines with a starting jackpot of $25,000! The RedBrick gaming lounge incorporates deep rich colours of red & black with a touch of gold coupled with soft lighting to create an elegant touch of luxury and comfort. 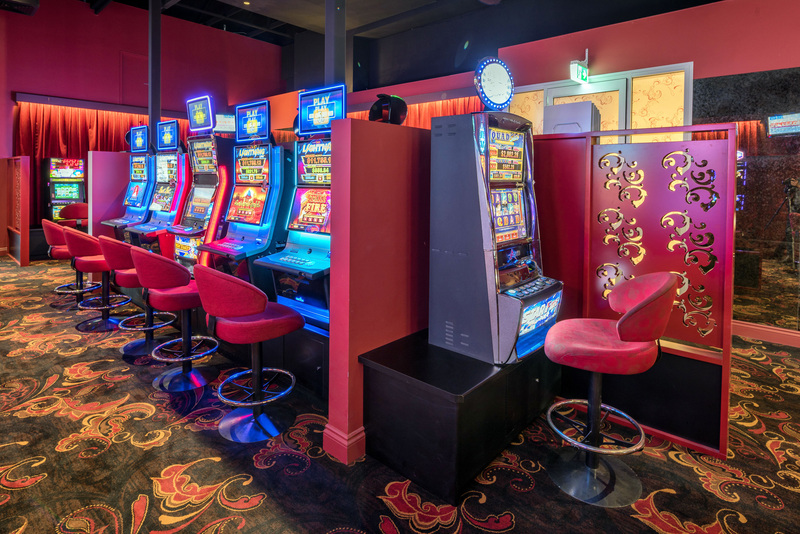 Our gaming room also incorporates a dedicated keno television and comfortable seating for ease of play. Fitted with state of the art energy efficient lighting, thoughtful floor plan design and custom-made carpet throughout the area. Also boasting dedicated bathroom facilities, a private DOSA and two convenient access points from the bar on Annerley Road and hotel carpark. 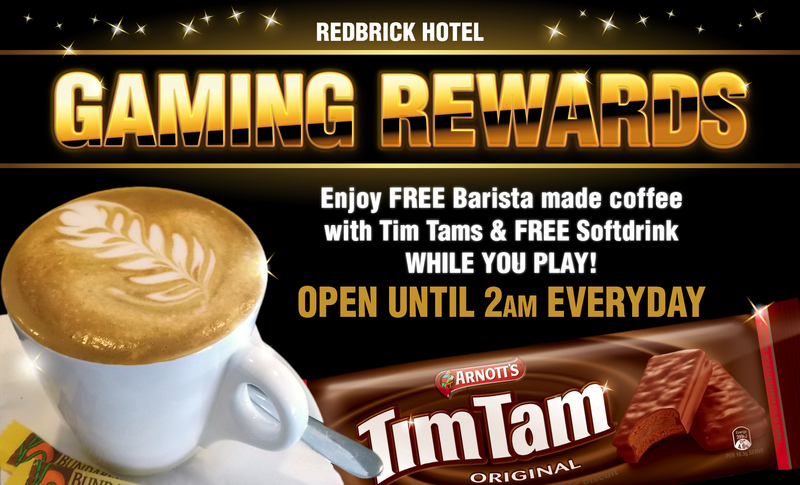 The gaming lounge is adjacent to the sports bar and restaurant so patrons can relax and enjoy all of the facilities available at the RedBrick Hotel. Along with our complimentary items mentioned above, our full-service sports bar serves a variety of wine, spirit, beer, cider, cocktails and soft drinks. Also including a state of the art espresso machine for our barista made coffee. Hungry? Our restaurant serves a variety of hearty meals including burgers, wings and mouth-watering steaks made fresh daily by our talented chefs. Payouts up to $5,000 cash are available to all our gaming customers.